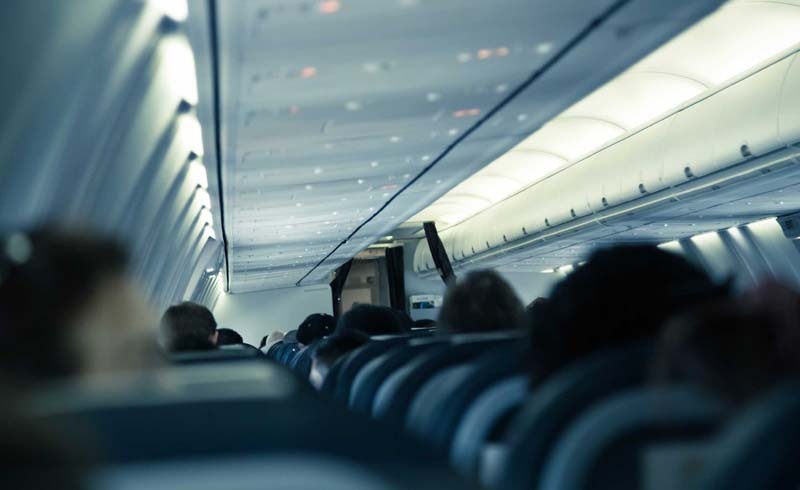 Learn why you don't have to worry about these beeps, noises, flickering lights, and more sights and sounds you experience on planes. When hurtling through the air in a metallic cylinder at 600 mph, it’s nice to know that the strange things you hear and see don’t mean you’re going to die. Here’s what not to worry about. It’s very common to hear banging when boarding a plane or waiting in your seat at the gate. This is just the cargo being loaded onto the plane below the cabin. Most airlines plug into the airport’s electricity source when planes are on the ground. 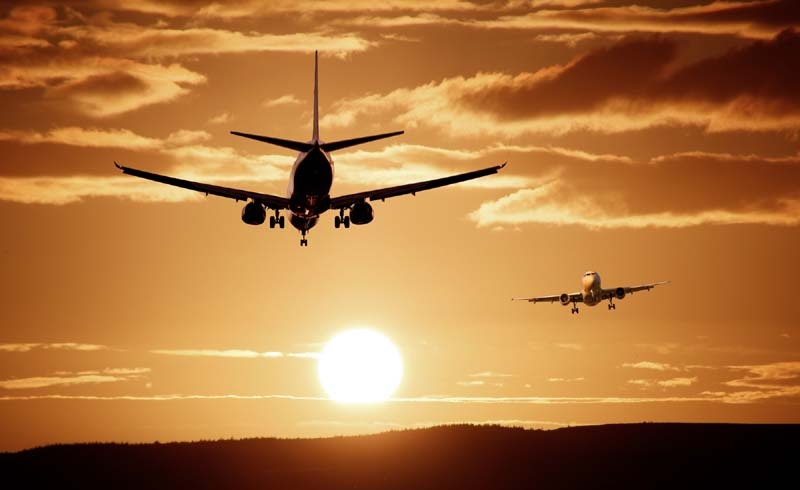 When an airplane pushes away from the gate, the pilot will switch from the ground power source to the one on board, which will cause the lights in the cabin to momentarily flicker. When the plane lifts off the ground, the pilot pulls the wheels into the plane’s body and closes the flaps behind them, one at a time (thump, thump). That disconcerting whir comes from the pilot retracting the wing flaps that were needed to get the plane off the ground. Both of those actions are part of the process of “cleaning up the plane” to make it streamlined for flight. What you’re seeing streaming from the air vents is the water vapor (similar to fog) that appears when warm and cool air mix. Most commonly, the white vapor will appear in hot and humid conditions, either with the plane on the ground with its doors open or when an airplane flies through a storm. Each airline uses chimes differently, according to John Cox, a retired airline captain. One chime can be the pilot warning flight attendants of turbulence or the flight attendants asking if the pilot wants a cup of coffee. Two chimes usually means that the airplane is approaching 10,000 feet. Three or more chimes indicates a more serious issue, such as a very sick passenger or impending extremely rough air. When an airplane’s doors are closed, an escape slide is automatically enabled. “Doors to arrival” reminds flight attendants to disarm the slide, and “cross-check” is a directive to double-check the door of another flight attendant. This announcement is a request for a sort of conference call for the crew. Each flight attendant calls in to report that he or she has completed the assigned safety checks. As the plane begins its descent, the engine noise will reduce since it is no longer accelerating. In order to slow the plane down so that it can land safely, the “flight spoilers” will be activated—those are the long boards on the wing that lift up to increase drag. When they are activated, passengers in the cabin will hear a rumble and feel vibrations. Once the plane has touched down on land, it sounds like the engines are revving up again for takeoff. This is just the captain reversing the engine thrusts to help slow down the aircraft. When this happens, you’ll hear the loud noise of the engines and feel pushed forward in your seat because of rapid deceleration.